Adzooma is a marketing software provider that serves as an agency for businesses who use Google advertisements. Its Google-certified team and in-house software enable users to quickly and effectively launch marketing campaigns. In this article, we cover pricing. Ready to get started with Adzooma? Visit their website. As of the date this article was written (12/19/18), there are very few up-to-date Adzooma reviews online. If you are a past or present Adzooma customer, leave a review to help other business owners who are deciding whether or not to use the service. Adzooma offers four pricing plans which depend on a user’s Google Ads Spend. Their pricing scheme for Search Engine Optimization (SEO) services ranges from £49 to £299 per month. However, there is no mention of the corresponding number of page views. Ready to get started with Adzooma? Visit their website. 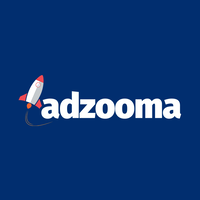 How does Adzooma make use of Google AdWords? Adzooma’s team of Google-certified experts ask clients what their business objectives are and what message they intend to send to their potential customers. Their software, then, runs the campaign and produces results and recommendations. What company size does Adzooma best cater to? Adzooma is best for small businesses that need comprehensive pay-per-click management at affordable rates. Not sure if Adzooma is the right fit for you? Read our reviews of all top marketing software providers or check out one of these three Adzooma competitors. Excellent sales team, Very friendly. However the results are appalling and the results in terms of actually getting leads for my business has been terrible! That it doesn’t work, and that the only real results were the sales team pitch to get you to pay a substantial amount of money upfront.